This above passage from Mark 7 was spoken by Jesus to the Pharisees and scribes. And in this list of evils which proceed from the hearts of men, Jesus mentions “an evil eye”. And God has inscribed this sign upon the face of the Moon! Yes, this 2nd face is that of a wolf-like character with an upraised eye-brow as he appears to be looking down upon this world in judgment! You see, this wolf-like character represents proud Pharisees, because the Pharisees were the “Moral Majority” of their day. They were very outwardly correct and very judgmental of all those whom they thought to be less than themselves! And this beast lives within each of us. Oh well, he may not manifest himself so much. But he is the iconic symbol of foolish human pride! And each and every human being has pride dwelling within. In some, pride is very apparent and noticeable! In others it lies beneath the surface. But it’s there, working together with the other two sins, the lusts of the flesh, and the lusts of the eyes (covetousness). Now pride is considered in the Bible to be one of the higher sins, whereas the lusts of the flesh, the lower passions. And while the lusts of the flesh are often scorned even by the world, the Pride of Life is often seen as a virtue. But pride is especially reprehensible to God. God hates selfish pride! Peacock – by Nihal Jabin – Wikimedia – Creative Commons Attribution-Share Alike 3.0. Here we have a litany of human qualities which the Lord hates! And a proud look is #1 on that list! Academy Awards Ceremony – Wikipedia – Share Alike Lic. Here we see that Lucifer wanted to exalt his heavenly throne above the stars of Heaven! He was ambitious! He wanted it all! And so too, the Pharisees back in Jesus’ earthly ministry, loved to exalt themselves above other humans! Thus, they strove to become more moral and correct. They sought for excellence in outward appearance. They loved the exaltation of social status which earthly riches produced! They coveted their over-sized homes and lands and gardens and cattle. Now contrast this with humble and meek Jesus. Here came as the King of Heaven riding on a lowly donkey. Laying aside His heavenly crown so that He might come and bring back His lost sheep. Living a life of poverty, he condescended to those of low esteem. And instead of receiving praise and honor, He was spit upon and rejected by those of us who followed after Lucifer’s rebellion! There are three faces in the Moon, etched by God Himself. These faces present, not only the condition of God’s house, but also, the condition of the Human Heart. The first face is that of a man. The other two faces are those of a scavenger and also a predator. The first face represents the True Worshipers. The other two represent the two classes of Christians that existed in Jesus’ day: the Pharisees, and the Sadducees. The Pharisees were the Proud Scorners. The Sadducees were locked in by unbelief. They di dn’t believe much of the Bible. While the second face representing the Pharisees, as they professed belief in the Bible, loved the sins of pride, the 3rd face (Sadducees) continually sought after the things of the world. Yes, these faithless ones (represented by this 3rd face), didn’t believe that being Christ-like could bring the joy necessary to be content. So this 3rd face is a Seeker, so to speak. Just as the little furry critters are constantly seeking after food, so too, many Christians are constantly seeking after, and nibbling of the things of the world. Now, it’s not to say that Christians do not enjoy the things of the world. But Christians are not to make the things of the world of much importance. Their chief desire is to seek the things of Heaven. Do you get the point of these two beasts of the Earth? And while the Moon does not deal directly with all aspects of the Revelation 13 Antichrist Beast (7 heads, 10 horns, etc.). 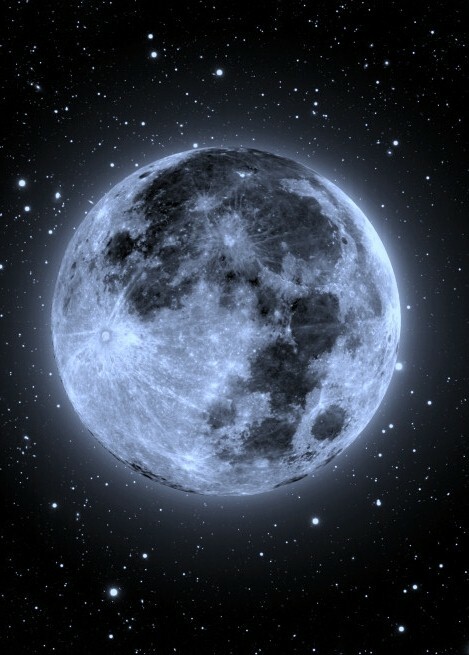 Nevertheless, the Moon exposes the Beast Within: the Beast within the human heart.